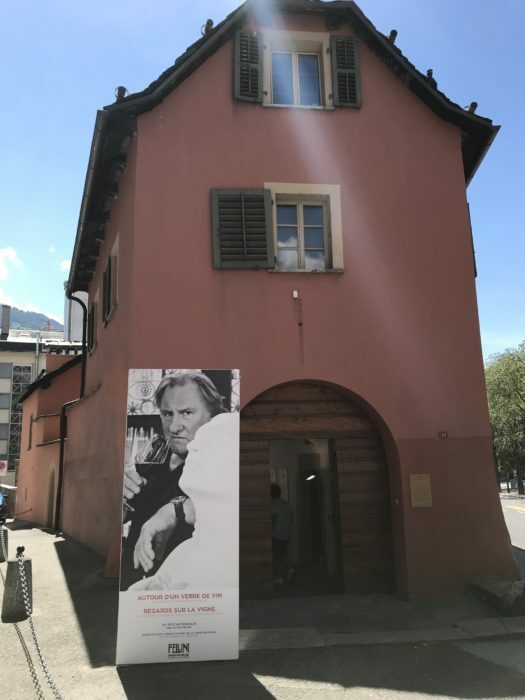 Just a short walk from Sion’s railway station and close to the centre of town, lies the Fellini Foundation Museum situated in the Maison du Diable. This cultural centre was founded in 2001 and holds regular exhibitions and events, all relating to the world of film. 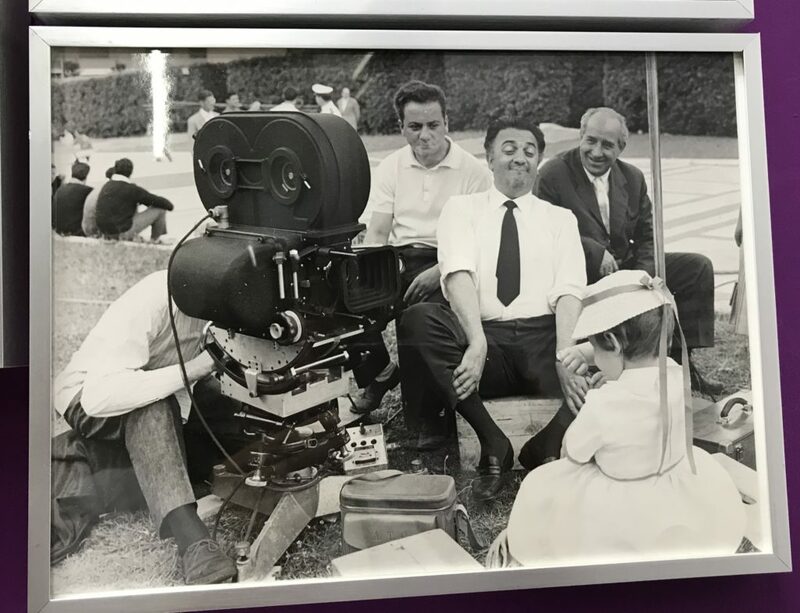 Along with a permanent collection dedicated to Federico Fellini, the Italian film director, there is currently a temporary exhibition called “Autour D’Un Verre de Vin” – “Over a glass of wine”. The exhibition is the work of photographer Gérard-Philippe Mabillard. He has taken a series of photos of actors and directors from around the world, all posed with a glass of wine. 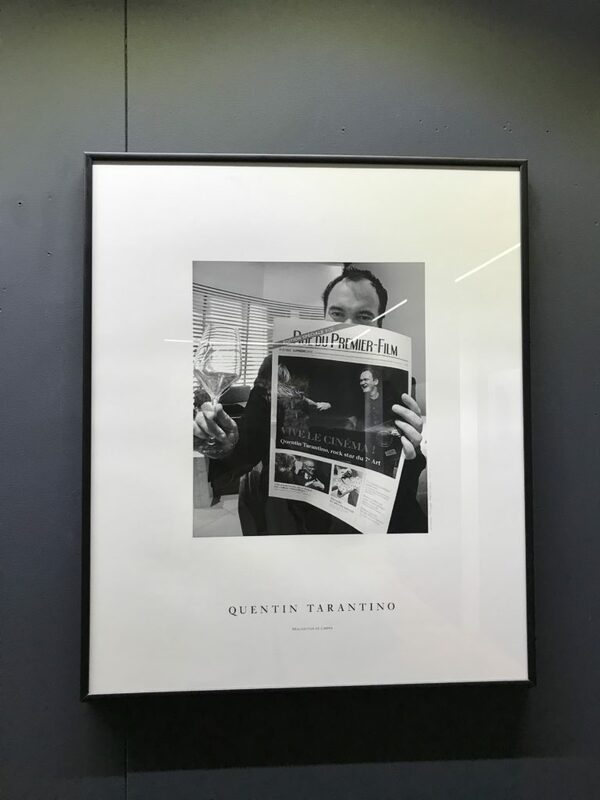 Stephen Frears, Quentin Tarantino, Sir Christopher Lee and Gérard Depardieu are some of the famous faces in this interesting exhibition. The second exhibition in this museum is “Regards Sur La Vigne” a look at the vine and wine through the eyes of students from the L’Atelier du Regard at the Collège des Creusets of Sion. There are three Gourmet and Film evenings linked to the subject of wine coming up at the museum. All of the films will be screened along with dinner, drinks and commentary on the film. The cost is CHF 77 per person – for details and booking see the Sion Tourism site. Another upcoming exhibition in September will be a David Lynch tribute to Fellini. More details to follow. 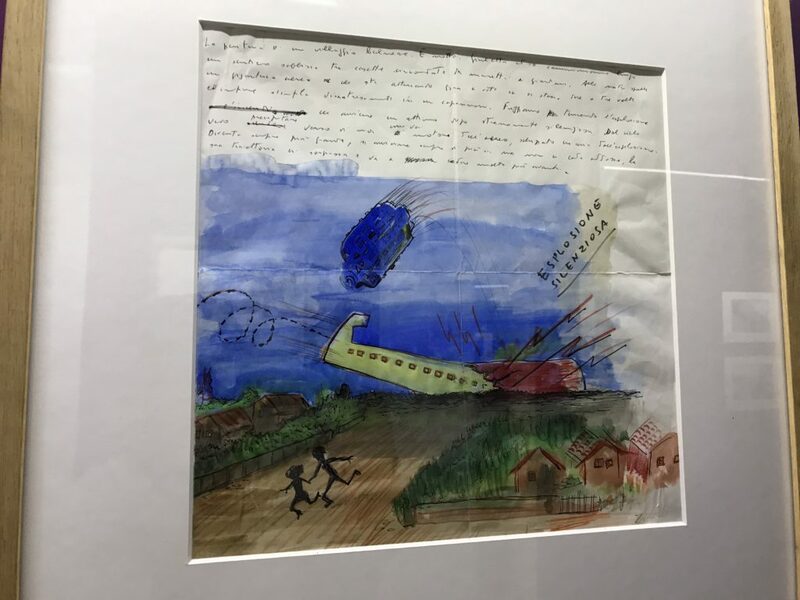 One of Fellini’s sketches on display at the museum. Drawing was one way that Fellini came up with ideas for his films. These random drawings, often with notes and telephone numbers attached were part of his creative process.